Since the dawn of commercial aviation in the 1920s, the popularity of air travel has grown at an insatiable rate. Today, more 3.5 billion passengers travel by plane each year - equivalent to half of our planet’s population. With technology, design and enhanced fuel efficiency now allowing commercial aircraft to fly faster and cheaper than at any point before, the ever-increasing demand for air travel shows little sign of relenting. As a result, destinations around the world are under pressure to expand their existing facilities or to construct large new hubs. With state-of-the-art facilities, automated systems, artificial intelligence, vast construction project teams and designs from some of the world’s leading architects, this is a new age of airport design. 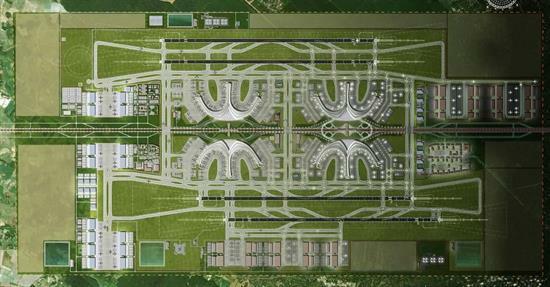 With its main airport quickly approaching capacity, construction of Beijing’s second international facility began in 2014. 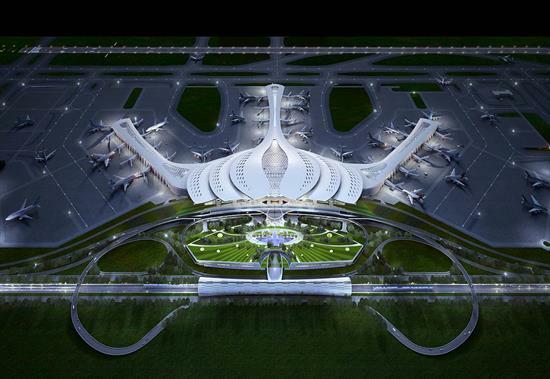 Designed by the late Zaha Hadid, the USD $12BN scheme will deliver four runways and a terminal that consists of a central hub from which six concourses radiate, allowing flexible aircraft movements while reducing walking distances for passengers. Daxing International was designed with a radial layout to make passenger movements more efficient ( images courtesy of Xinhua and Zaha Hadid Architects). 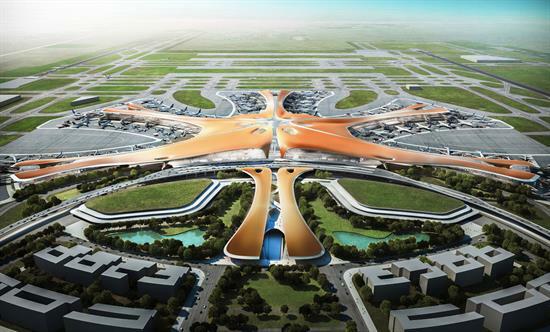 Expected to become the world’s largest airport upon its completion in September 2019, Beijing's Daxing International will serve 72 million passengers a year by 2025. Despite its already vast scale, the site has been designed for further expansion in the future, with space for three more runways - taking its capacity to over 100 million passengers a year. Built on reclaimed land just off the coast of South Korea, Incheon International has been undergoing a series of phased expansions since it first opened in 2001. Completing Phase 3 and opening its second terminal just ahead of the 2018 Winter Olympic Games in Pyeongchang, the airport currently has a capacity for 62 million passengers each year, making it one of the busiest in Asia. Incheon International has been expanding since 2001 and is now one of the world's busiest airports ( image courtesy of Incheon International Airport Corporation) Along with the usual facilities, the airport also features a golf course, spa, casino, indoor garden and museum of Korean Culture. In addition, operators claim to have got processing times down to just 19 minutes for departures, and 12 minutes for arrivals - well below the global averages. 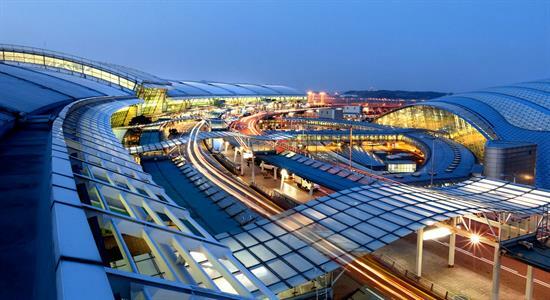 Ranking consistently as one of Airports Council International's best airports in the world, the South Korean government has invested over USD $5BN into the project to date with the aim to make it a mega-hub for East Asia in terms of both passenger numbers and cargo freight. 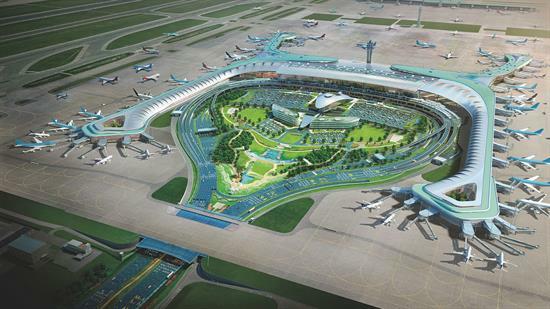 With the fourth and final phase of its development set for completion in 2020, Incheon International will boast two terminals, four satellite concourses, 128 gates, five runways and a capacity of 100 million passengers each year. The airport once described by former US Vice President Joe Biden as “third-world” is undergoing a major USD $8BN re-development, transforming it into a world-class facility that New Yorkers can be truly proud of. Commencing in 2016 with works to Terminal B, the airport has so far continued to operate throughout the redevelopment works with a number of airlines temporarily relocating to other terminals. LaGuardia will become the first new airport to be built in the United States in 20 years and will finally be connected to New York City's rail network (images courtesy of the Office of the Governor for the State of New York and Andrew Nelson). The scheme will eventually unify Terminals B, C and D into one continuous structure almost a mile long, offering state-of-the-art passenger facilities, improved mobility and an annual capacity of over 50 million passengers. 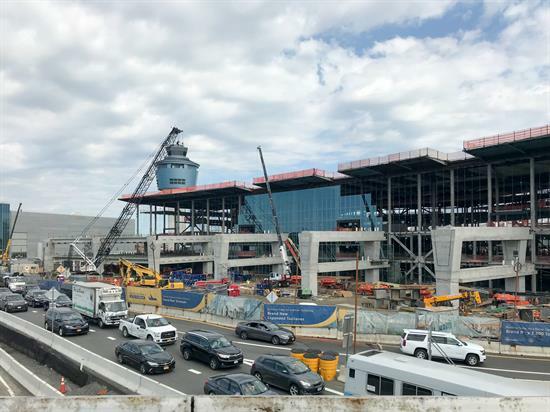 Skybridges between the terminal building and departure gates will be high enough to allow aircraft to taxi beneath, while the new AirTrain LaGuardia will connect the airport to New York’s existing transport system. Opening in stages up to 2021, the new LaGuardia will be the first airport to be built in the United States in over 20 years. 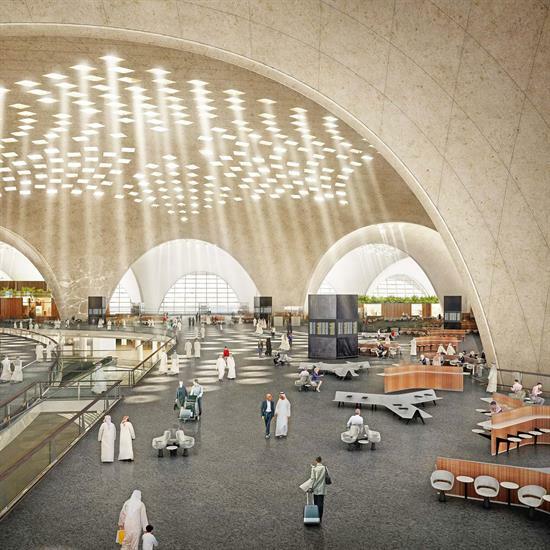 Set to take-off by 2022, the new Terminal 2 at Kuwait International will significantly expand the airport, adding 28 gates and increasing capacity by 13 million passengers annually. The triangular building has a central height of 25 metres, facades that span over 1.2 kilometres each and a vast total area of 708,000 square metres. 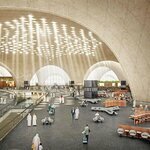 Kuwait International's new terminal is set to become the worlds first LEED Gold certified passenger terminal when it completes in 2022 (images courtesy of Foster and Partners). Located in one of the hottest inhabited areas of the world, the roof features photovoltaics (PVs) and is punctuated to allow natural light into the building while deflecting direct solar radiation. These features, along with the thermal properties of its concrete structure are set to make the new facility the first LEED Gold certified passenger terminal in the world. With Tan Son Nhat International Airport already the busiest in the country - and processing some 7 million passengers a year above its 25 million passenger capacity - the Vietnamese government approved the construction of a new airport to relieve pressure and help boost their economy. With construction originally due to commence in 2021, works on the Long Thanh International Airport in Vietnam were brought forward two years, and are now due to start in 2019. Vietnam is becoming a major hub for air travel in South East Asia and will begin construction of one of the world's largest airports in 2019. The airport's design draws heavily from lotus flowers, an inspiration which can be seen throughout the terminal. 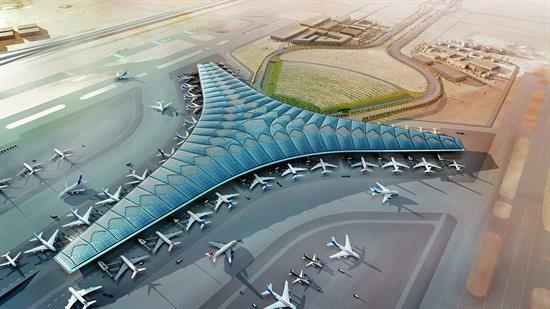 Planned in three phases, the USD $7.8 BN first stage is set to complete by 2025 and will consist of a terminal and two runways capable of processing 25 million passengers each year. Phase 2 will expand the airport’s capacity to 50 million passengers by 2035, while its third and final phase will allow Long Than to serve between 80 and 100 million passengers each year by 2050. Article reproduced from B1M - We love construction. And we want the whole world to love it too. by: Dan Cortese Video hosted by: Fred Mills.